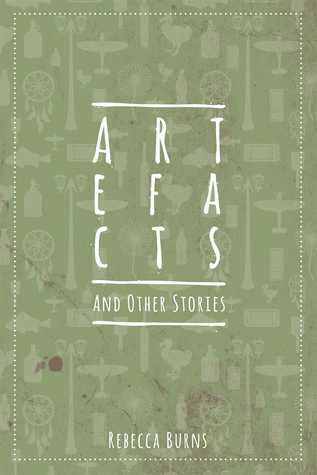 The summary of Artefacts and Other Stories mentions the "stubborn yellow" of the dandelion in the opening story of this book, but the theme of items left behind or meaning more than its surface definition runs through all of the stories. The artefacts of the title story and the other short stories in this collection can be a physical item, or the memory of one like the dandelion of the first story. Memories tied to the item can haunt the characters in these stories, and for the one character with psychometry, that haunting can be literal. Sometimes the remaining item causes pain for those left behind, sometimes it can be just the thing to push the characters forward. There are some moments that stick out in the collection and really linger with me, particularly the look and feel of people trapped in the middle of a raid. People are fragile, and the stories in this collection really highlight that in poignant ways. I can see this being a book club read, so that there can be multiple points of view to discuss the loss or the way that the loss can be revealed slowly, in pieces just as broken as the artefacts left behind.